It was a great way to welcome the love month as Davao Light and Power Co., Inc. discovered the first pawikan nest for the year at the Aboitiz Cleanergy Park in Punta Dumalag, Matina Aplaya, Davao City last February 3, 2019. Fermin Edillon, Davao Light Community Relations Manager, was accompanying Mr. Antonio Aboitiz together with his friends for a tour in the Cleanergy Park when they found pawikan tracks on the shore, which headed them to the location of a Pawikan nest. 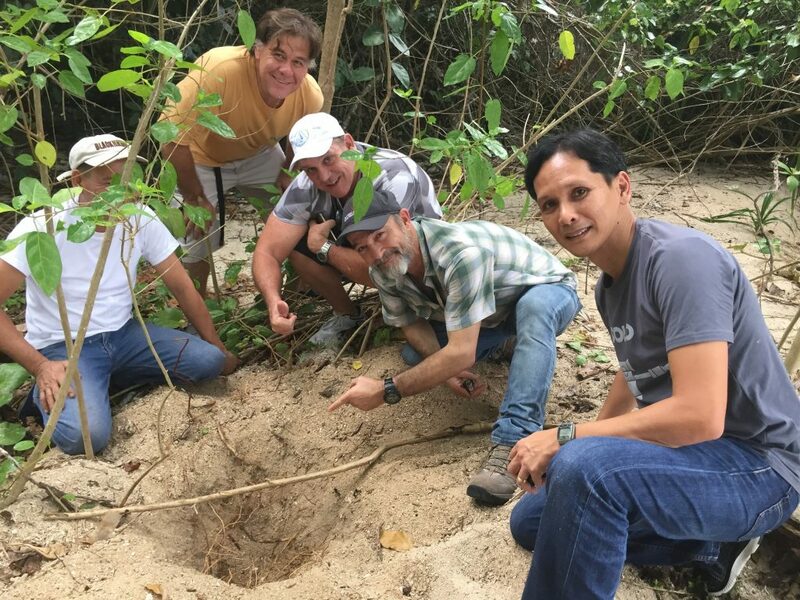 Discovery of the Pawikan Nest: Antonio Aboitiz (2nd from right) together with his friends and Fermin Edillon (rightmost), Davao Light Community Relations Manager, are the first to discover the Pawikan nest last February 3, 2019 at the Aboitiz Cleanergy Park. 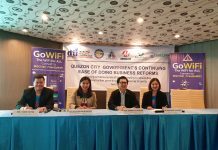 The discovery of this pawikan nest is very timely with the recent signing of Memorandum of Agreement among Davao Light, Aboitiz Foundation Inc. , Davao City Local Government Unit and the Department of Environment and Natural Resources to establish a Pawikan Rescue Center at the Cleanergy Park. This collaboration will intensify conservation efforts for the marine turtles or pawikan particularly the critically endangered hawksbill turtle in Davao City. In two weeks time, the same mother pawikan is expected to come back and lay another set of eggs. The Cleanergy Park has been a nesting ground of the critically endangered Hawksbill Turtles and the recently found nest is also believed to be of the same species. Davao Light is hoping for more pawikan eggs to be laid in the park for 2019 and for the coming years. A total of 3,482 hatchlings were already released at the Cleanergy Park since it was established in 2014.